The 45th annual Lochaber Music Festival got underway at the weekend. The popular event, which will run until Thursday, features vocal, instrumental, traditional, speech, country dancing and ensemble competitions. It will also include the Rotary-sponsored Lochaber Young Musician of the Year. Chairwoman Catherine Cameron said: “Taking part in the music festival is an extremely positive experience for local school children and adults alike. “We have so much musical talent in this culturally-rich area, with instrumental tuition and weekly class music lessons still part of everyday life for many children. 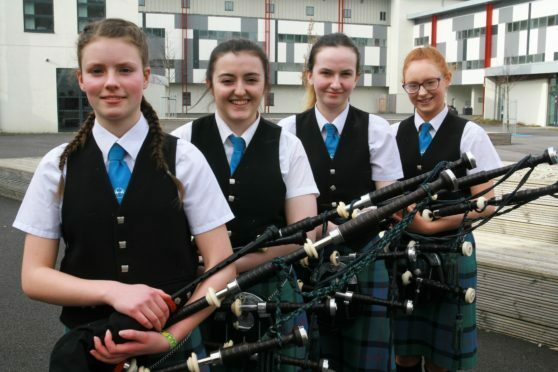 “There is also accessibility to excellent private tuition, including the Lochaber Music School who serve a phenomenal number of families, teaching music from babies to their parents. “There is also the existence of many community music, dance and drama clubs. The event is one of the most popular on the north calendar and organisers are proud of how it attracts a high standard in every category. She added: “This year’s adjudicators are travelling from all over the UK to provide our competitors praise and constructive criticism to help them in their future performances. “They are Joan Foster, John Grant, Margaret Tomlinson, Donald John MacIntyre, Gillian Frame and Linda Gaul. The traditional classes took place over the weekend and all other classes will run from today as the festivities build towards a rousing crescendo. The Young Musician competitions will take place tomorrow evening and this is traditionally a keenly-contested competition. The final concert, which will feature many of the highlights of the festival, as well as the prize-giving, will take place on Thursday evening.